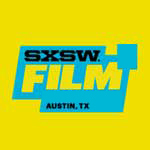 I met with Canadian actress Caroline Dhavernas (Mars et Avril) on Monday, March 13, 2017, at SXSW, to discuss her collaboration on Adam Keleman‘s first feature, Easy Living (which I also reviewed). The film is a charming dramedy about a thirtysomething door-to-door makeup saleswoman, Sherry Graham, at a crossroads who cannot manage to change her self-destructive ways. Though at times bleak, the story never descends into the maudlin, thanks to Keleman’s deft writing and Dhavernas’ brilliant performance. Here is a condensed version of my chat with Caroline Dhavernas. Hammer to Nail: So I really liked the film. I really did. And I really liked your performance in it. Caroline Dhavernas: I’m glad you did! HtN: I confess that I sometimes avoid interviewing actors because I think more like a filmmaker and am worried about my own limitations in terms of figuring out good questions to ask of the actor. But I really wanted to interview you, because I really enjoyed your performance. CD: Thank you so much. That means a lot to me! HtN: So, how did the script first come to you, and why did you accept? CD: I Skyped with Adam after reading the script. He offered it to me through the agency I work with in New York. We talked about his references, his inspirations, the character, and, of course, it’s kind of a dream, this part, for an actor, because she’s so messed up and vulnerable and weird in her own way, and looking for solutions in all the wrong places. And I loved Adam’s references. he’s really into American films of the 1970s, with very strong female lead characters, like 3 Women, by Robert Altman, and so we started from there. What was interesting was that he had the idea of shooting the door-to-door moments first. So we did two days of improv-ed – completely improv-ed – moments with these ladies, who had accepted the fact that we would enter their homes and we would just improv stuff, which gave me the opportunity to get to know my character and try things out and develop a way of communicating with Adam. And then we had about 10 days off, which never happens – the idea was to incorporate what we had done into the script – and then we started shooting the scripted scenes. And it was a fabulous crew of people who had all accepted to work for half of what they … even less, we had no money…which gave us a lot of freedom. And I love the fact that Adam really used this freedom, in many steps along the way. Even when he was editing, he took his time to try things out and to edit a whole different way, afterwards. He doesn’t have the pressure of people who gave a lot of money and want to see it come out at a specific time. So that was the atmosphere … the film evolved in that way, which was really fun and it’s a big luxury, actually, to be able to still create in a way that you’re not pressed for time or weighed down by other people’s opinions. HtN: So the movie is so heavily built around you. What did Adam tell you about Sherry, to help you build the character? CD: It’s been a while, so I don’t remember what the conversations were about, exactly, but it’s all on the page. I didn’t do that much preparation, except for meeting a Tupperware lady, who goes door to door, just to see what that lifestyle was like. So, I guess it was just through the films that he showed me, and a few conversations we had. I thought I would play her a little more crazy and cuckoo, but as I started exploring the scenes and shooting, it just came out in a much more natural way than I had planned, and there was much more comedy than I had initially envisioned, which is always fun. When I was watching it yesterday for the first time on the big screen, I realized it’s a dark comedy. Which I didn’t know when I was making it. HtN: So if you were surprised that it was a dark comedy, what kind of film did you think you were making? CD: I knew that we were making a drama that wasn’t taking itself very seriously. I knew that a lot of issues in the movie are kind of below the surface, and not always talked about or expressed, which I really love. We’d been talking a lot about Jen’s character, which is the transsexual character, but we never talked about the transition in her life. It’s just normal. Same with my sister: the lesbian relationship is never talked about. It’s just normal. It’s part of life. In that sense, I think it’s quite revolutionary that we’re not talking about the difference. And it’s interesting, because both couples – the trans couple and the lesbian couple – are more normal and functional than Sherry, who’s spinning and trying to figure herself out. CD: Every night! And being very needy and needing affection and then not getting it the right way. So I think she’s a fascinating lady, because she’s trying to fit into something that she’s not. She’s trying to be normal, whatever that means. And it’s just not a lifestyle that is meant for her. She would have been great for the circus or something. And I think, at the end, she’s embracing her chaos. I think that’s what she’s about, and I think she feels very free. That’s how I saw it when I read it. Because the ending is quite surprising. Adam has a really interesting take on it. He says it’s almost maybe a moment that she’s making up. Maybe it’s not happening; maybe it’s happening in her mind. But she is freeing herself from a life that she was trying to fit into that she’s not really made for. HtN: Right. It does have a hallucinatory quality. HtN: (laughs) Going home with a man on dialysis…but I also like the idea of you do something so crazy, as you’re about to do, and maybe something happens and we are in a split, parallel universe. CD: (laughs) Yeah! There are many references in the movie to cinema, to movies, and when she finds that gun at her friends place and looks in the mirror, you feel like she’s starting to flirt with the idea of being someone else. HtN: It’s your Robert De Niro moment. CD: Exactly. And then, there’s that shift that happens. Is it happening for real? Is it in her mind? Is it another movie? We don’t know. HtN: Right. So, you sort of answered this already, but I love the scenes of you going door to door, and I just interviewed Adam a little earlier, and he told me that he cast people were from Craigslist or Backstage. What was it like working with these nonprofessional actors? CD: Well, it really took me by surprise. I was pleasantly surprised, actually, by how playful they all were. All of them. Because they didn’t know…they knew we were coming that day, around a specific time, but they didn’t know that once we knocked on the door, we were already starting. The cameras were already placed, so as soon as they opened that door, they were surprised and that’s what we wanted, and they just played along. Some of them were very serious about it; some of them were kind of light; others were playful. They were all so different, but all very dedicated and committed to this moment. So, it was a very generous thing of them to have us over and open their home to us. And then we just left, like a little tornado. HtN: So I love the dog, and I’m glad that you didn’t end the film the way Adam apparently was planning to. CD: I forget what that was. HtN: He said he was going to have you kick the dog, and then chase the dog and fall in the mud. HtN: (laughs) I’m glad this didn’t happen, because the dog is sort of your one consistent friend. Are you a dog person? HtN: Well, you seemed to get along very well with the dog. One of the things I really liked about your performance was how you are able to do so much in scenes that are largely behavioral. At the same time, you are often very vulnerable, both physically and emotionally. You’re exposed. Were there any particular moments or scenes that were difficult for you to do? I assume it was a comfortable set, in terms of trust in the director. CD: Yeah, completely. I think the scene with the daughter in her bedroom, I thought was a challenge, because we don’t really get to know them for very long, and it’s so charged, this relationship. So much is underneath, and we don’t have much time. And I think it’s very moving. I was watching it yesterday and it’s very loaded and the daughter’s so light and candid, but you feel all the story behind it. She’s grown more than my character. That’s what I felt when I read it and when I played it. I felt that Sherry was intimidated by her own daughter, because she was the grown-up that Sherry could never be. I love that moment, but it was a challenge, too, because I didn’t want to fall into a crying fit, it had to be contained. And the other actress was lovely. I had just met her, so how do you build a…but at the same time, it was kind of perfect that way, because they’re strangers to each other. HtN: It really worked, for me. HtN: So, thanks for the great performance and the great movie!